Todd McGowan launches a provocative exploration of weirdness and fantasy in David Lynch's groundbreaking oeuvre. He studies Lynch's talent for blending the bizarre and the normal to emphasize the odd nature of normality itself. Hollywood is often criticized for distorting reality and providing escapist fantasies, but in Lynch's movies, fantasy becomes a means through which the viewer is encouraged to build a revolutionary relationship with the world. Considering the filmmaker's entire career, McGowan examines Lynch's play with fantasy and traces the political, cultural, and existential impact of his unique style. 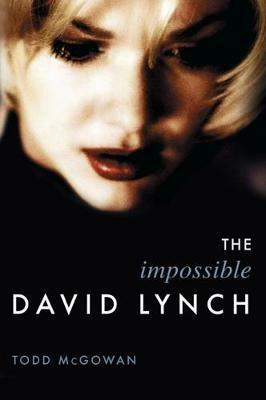 Each chapter discusses the idea of impossibility in one of Lynch's films, including the critically acclaimed Blue Velvet and The Elephant Man; the densely plotted Lost Highway and Mulholland Drive; the cult favorite Eraserhead; and the commercially unsuccessful Dune. McGowan engages with theorists from the "golden age" of film studies (Christian Metz, Laura Mulvey, and Jean-Louis Baudry) and with the thought of Sigmund Freud, Jacques Lacan, and Hegel. By using Lynch's weirdness as a point of departure, McGowan adds a new dimension to the field of auteur studies and reveals Lynch to be the source of a new and radical conception of fantasy. Todd McGowan is associate professor of English at the University of Vermont.